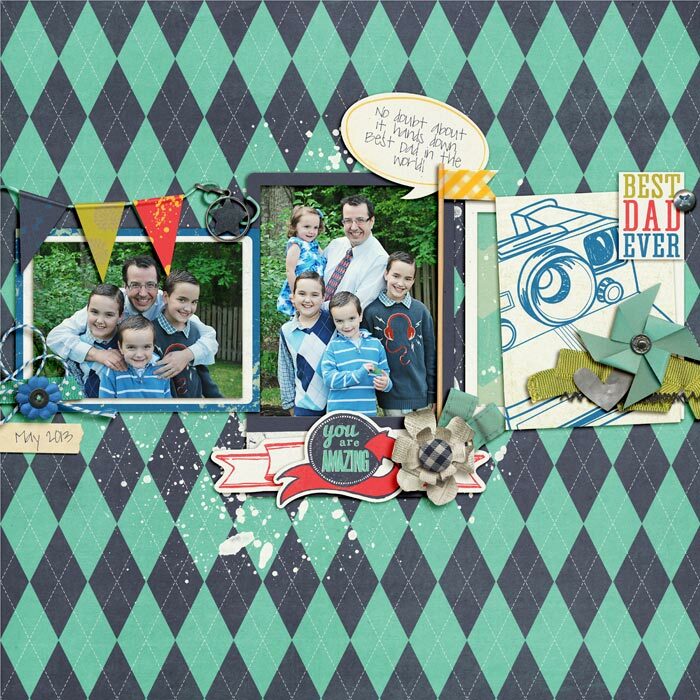 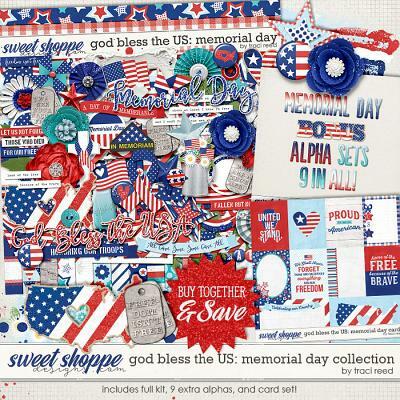 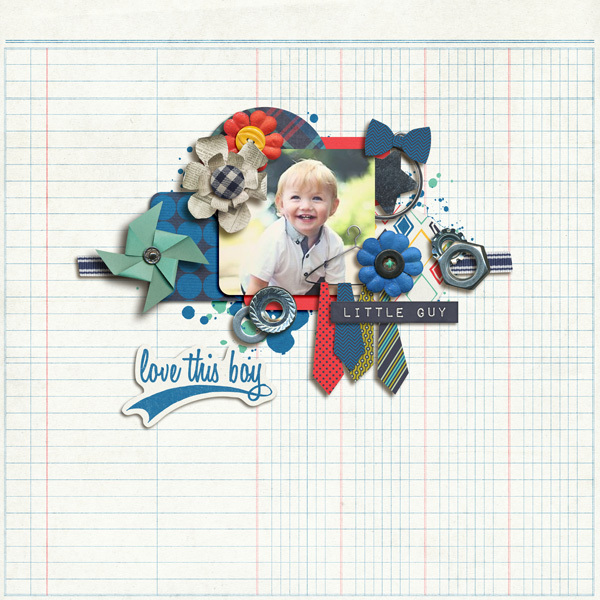 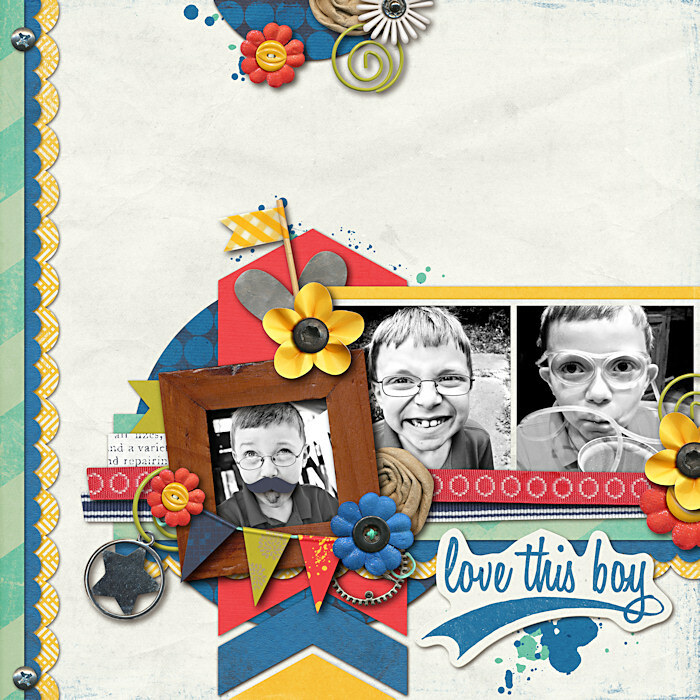 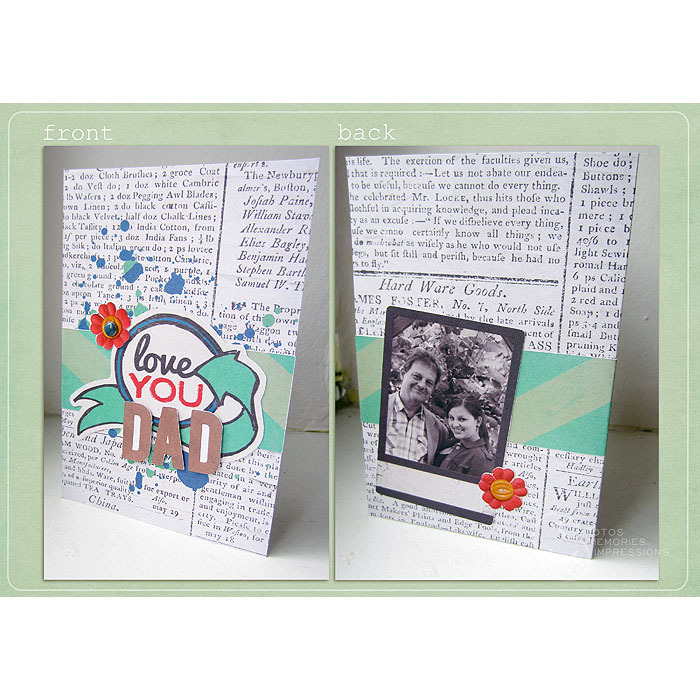 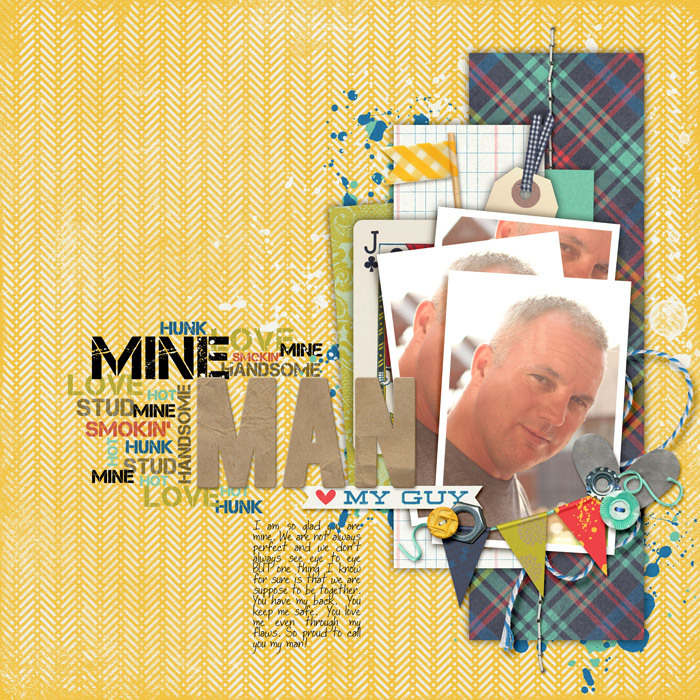 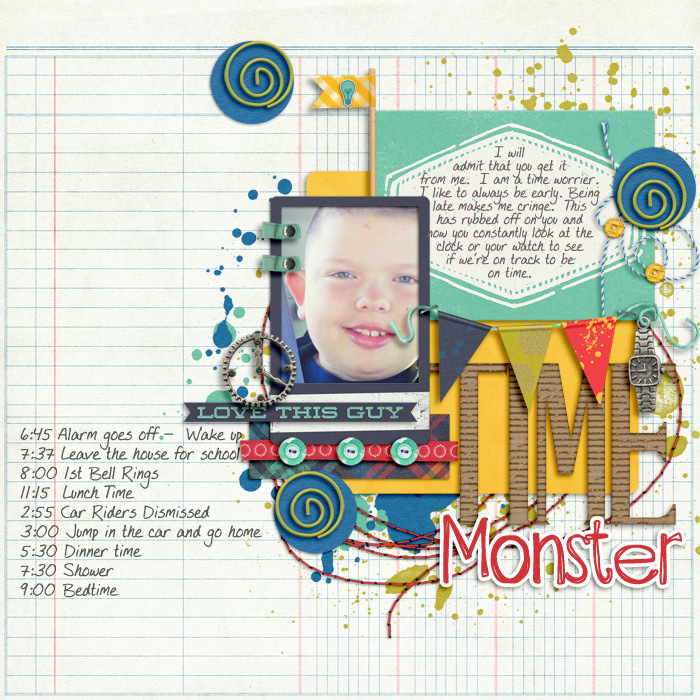 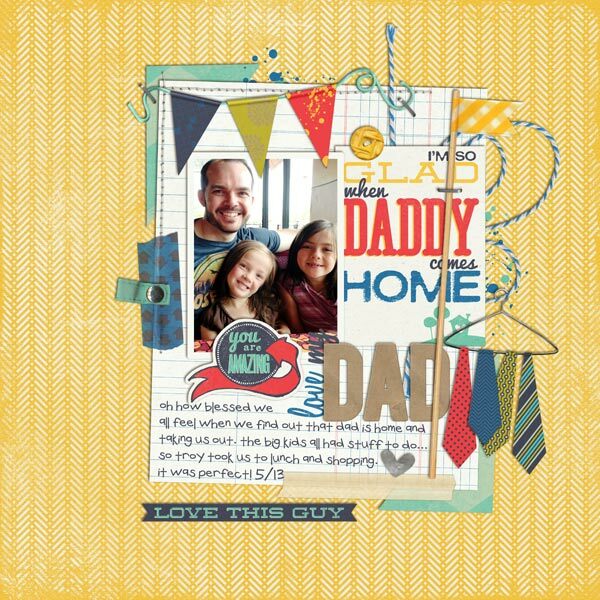 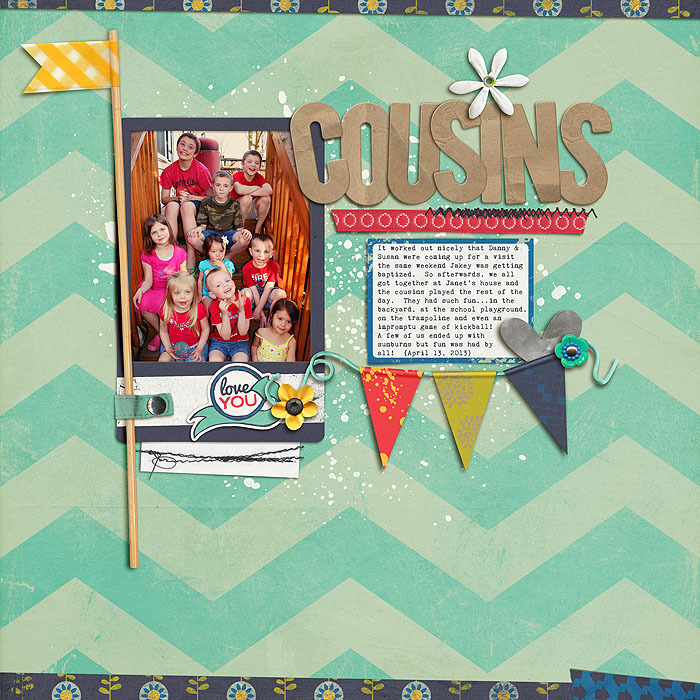 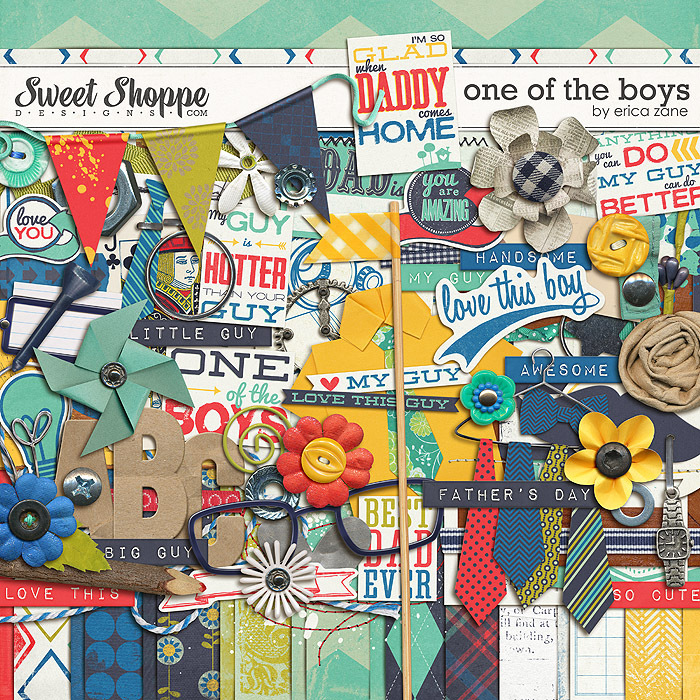 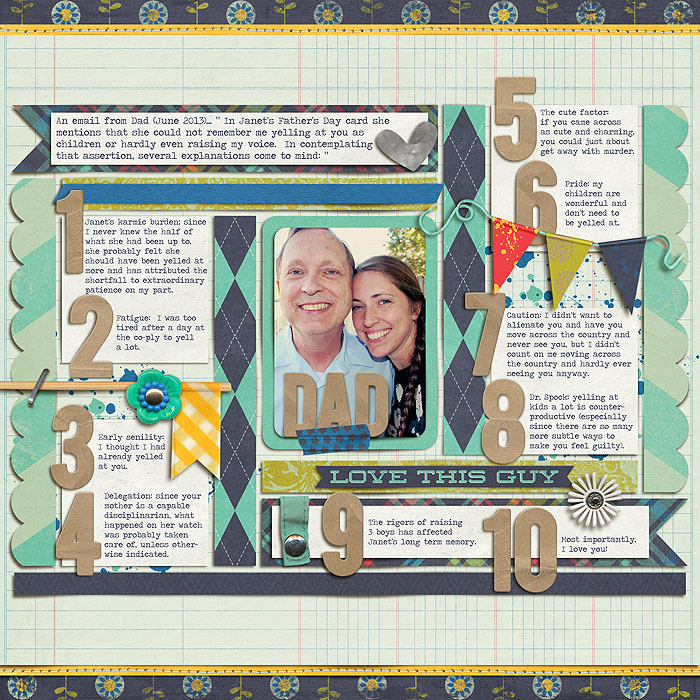 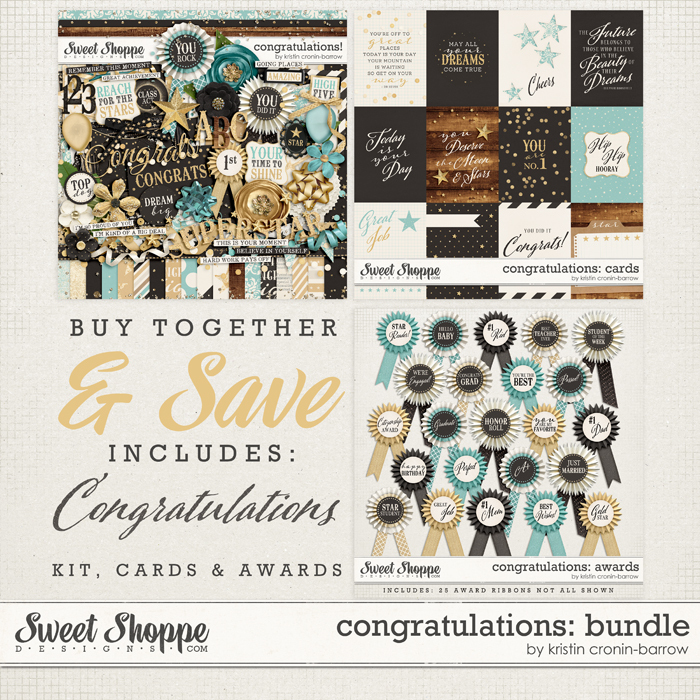 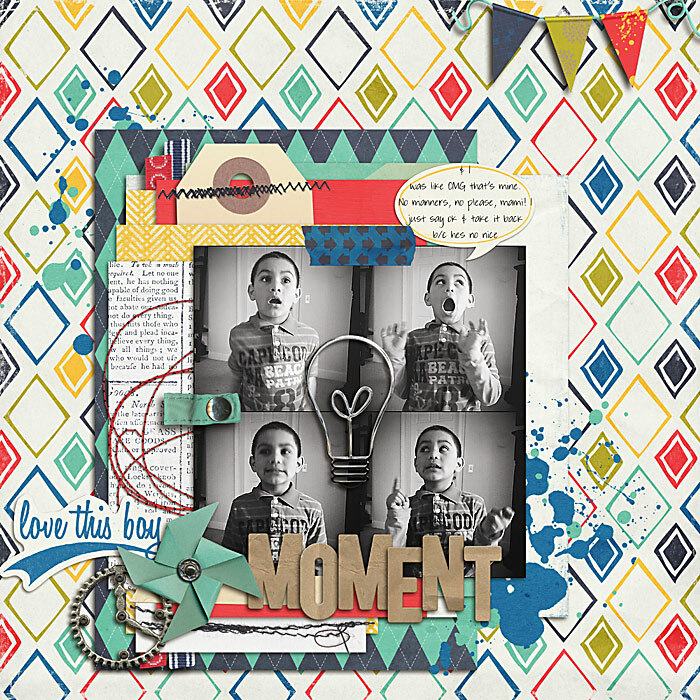 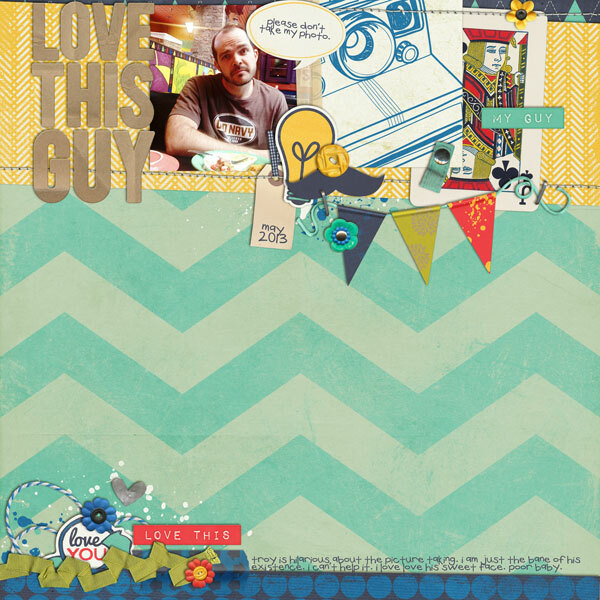 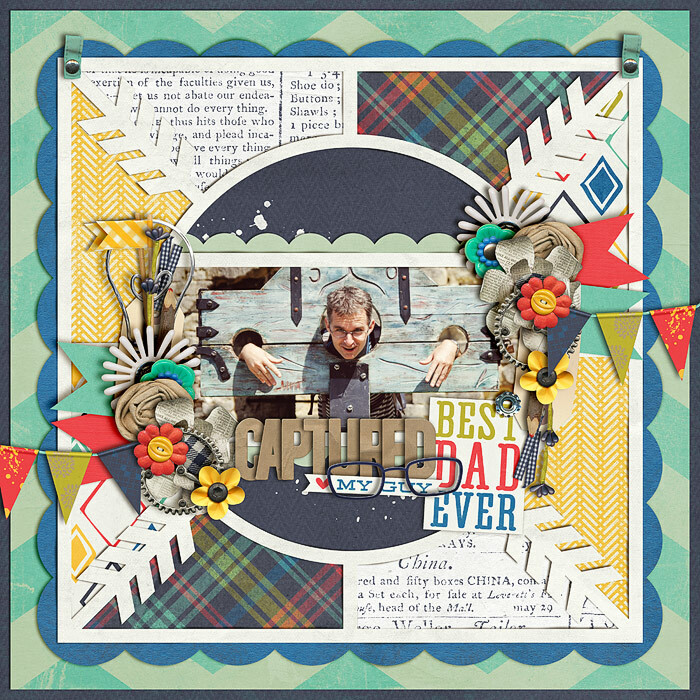 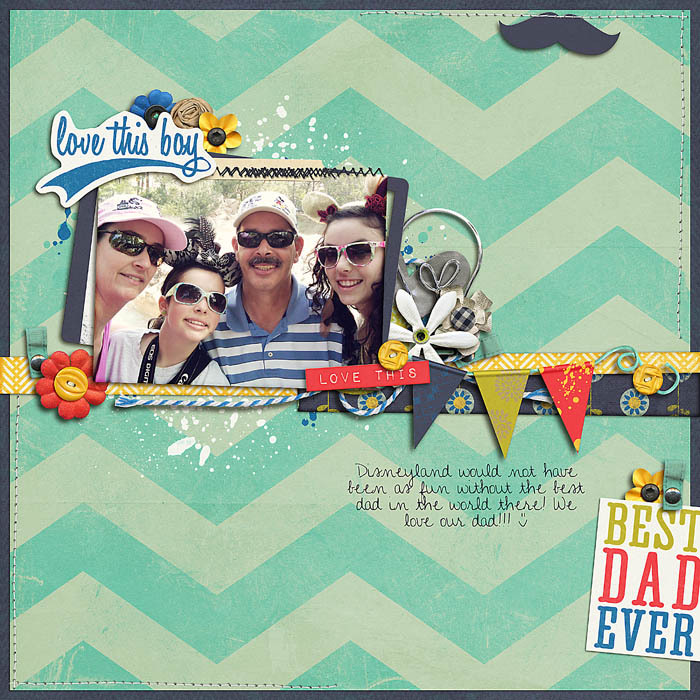 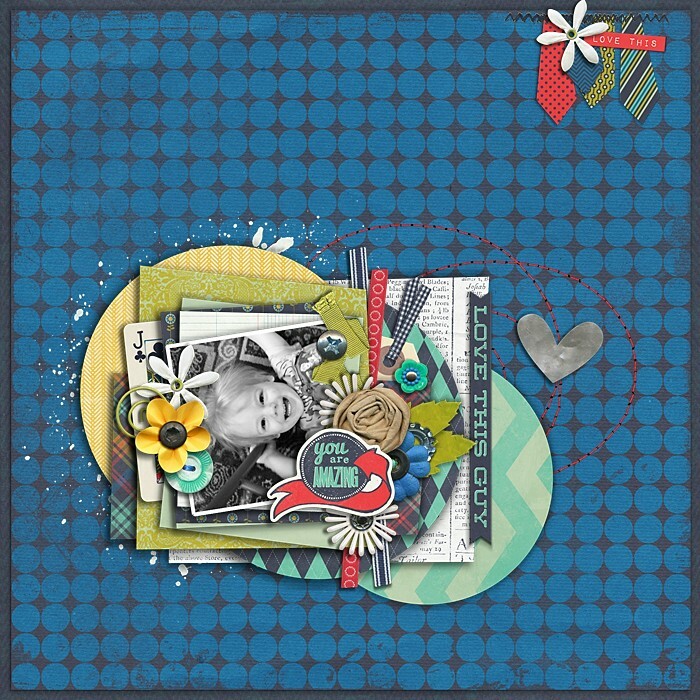 A digital scrapbooking kit by Erica Zane, One of the Boys is perfect for the boys in your life (big & small)...while some of the word art is obviously gears to Fathers, this kit is handy for so much more (even girls)! 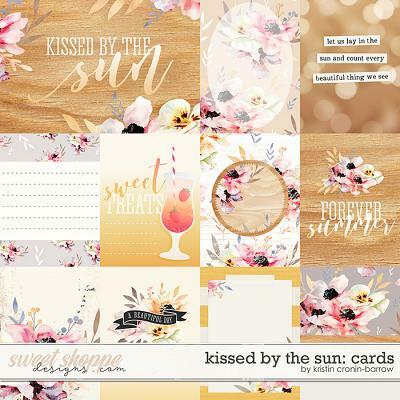 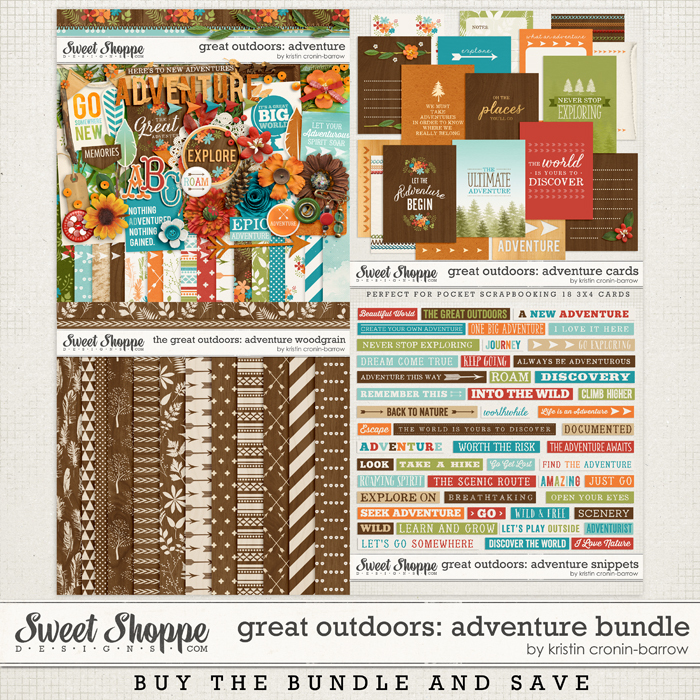 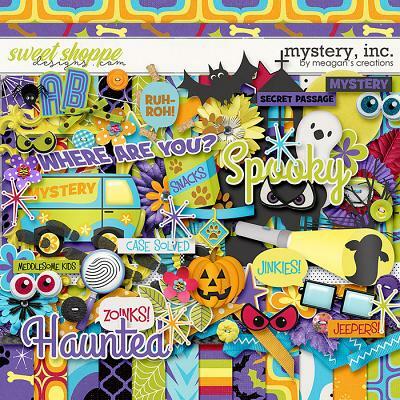 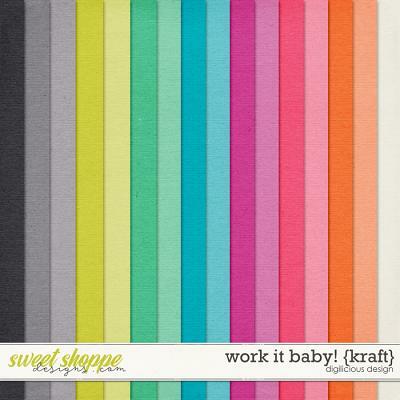 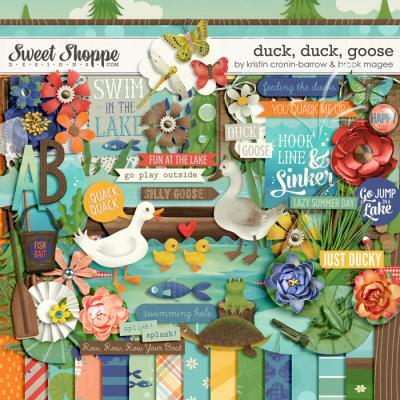 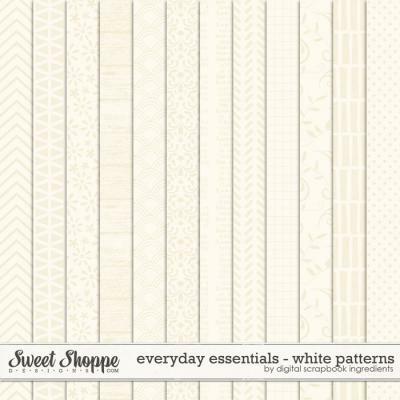 Packed with 18 digital scrapbook papers, more than 80 digital scrapbook elements and a digital scrapbook alphabet (saved as individual .png files), this kit is a super versatile addition to your stash! 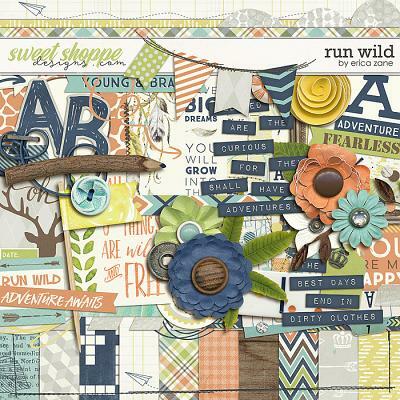 The elements include: 19 word art pieces, 8 flowers, 4 frames, 4 ribbons, 4 washers, 3 charms, 3 sets of stitches, 2 pieces of tape, 2 cards, 2 buttons, 2 tags, 2 journal spots, 2 paint spills, 2 staples, 2 speech bubbles, shirt with tie, hanger of ties, light bulb, banner, flag, tie, bow tie, label, glasses, pencil, leaf, stem with buds, string, heart, bookplate, pinwheel, large mat, mustache, golf tee, paperclip, snap and a screw.